The waiver wire offers immense value to teams looking to beef up at certain position where other teams aren’t. The New York Giants used the weekend efficiently by allocating several waiver picks towards the safety and cornerback positions. In addition to allocating resources to the secondary, the Giants also brought on an experienced offensive lineman to replace reserve center Brett Jones. 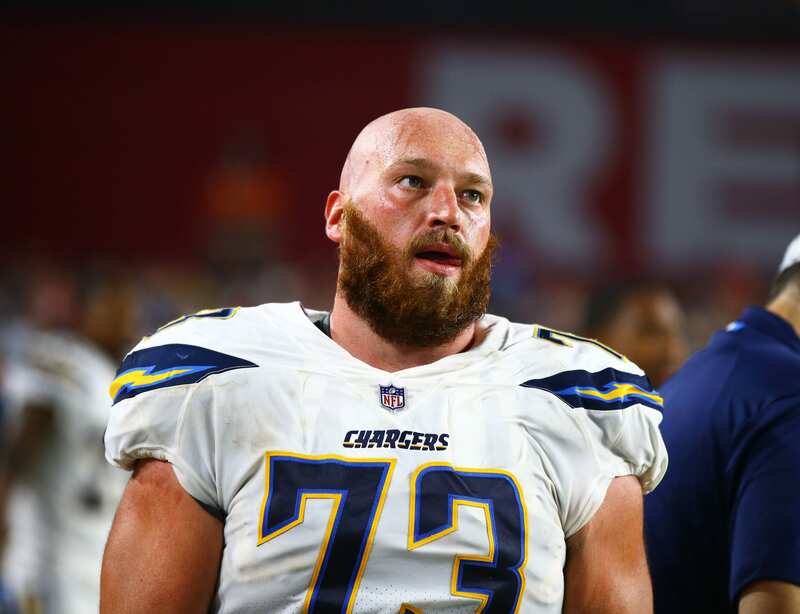 General manager Dave Gettleman and head coach Pat Shurmur signed former Los Angeles Chargers center, Spencer Pulley. Pulley can immediately come in and compete for the backup center position or serve as a swing guard. He was replaced by former Miami Dolphins center Mike Pouncey earlier in the year. At just 25 years old, Pulley represents great value for a team that lacks depth on the offensive line. He started 16 games last season for the Chargers and played ‘okay’ at best. He ranked at the bottom of the barrel in pressures allowed, but being that he’s nothing more than a reserve for the Giants it seems like a decent move. His experience will be beneficial if worst comes to worst. How can the New York Giants further improve their offensive line? Aside from bringing on a seasoned veteran to help bolster the offensive line, the Giants are far from having a safety net in case of injuries. Some options that could be enticing include RT Austin Howard and RG Jonathan Cooper. Howard was a solid right tackle for the Baltimore Ravens, but he seems to regress once he joined the Indianapolis Colts. Howard is 31 years-old and still churning in the NFL. The Giants wouldn’t need him to be a starting option but he could offer value behind Ereck Flowers at right tackle. Cooper on the other hand has been with five teams since being drafted seventh overall in 2013. He is an athletic freak with high-upside but was never able to be as consistent as advertised. He can be a decent backup guard, or even replace Patrick Omameh if he continues to struggle throughout the regular season.